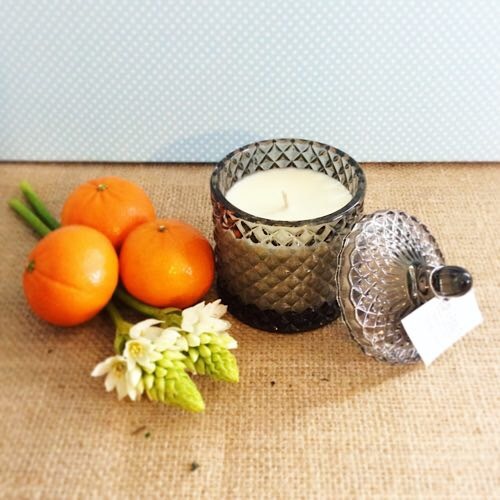 This triple scented candle has base notes of zesty lime which compliments the fresh and grounding basil middle and sweetened by the juicy mandarin top notes. Natural soy candle, hand-poured into a smokey grey geometric vanity glass pot with matching lid which makes a gorgeous keepsake after the candle is finished. 250g. 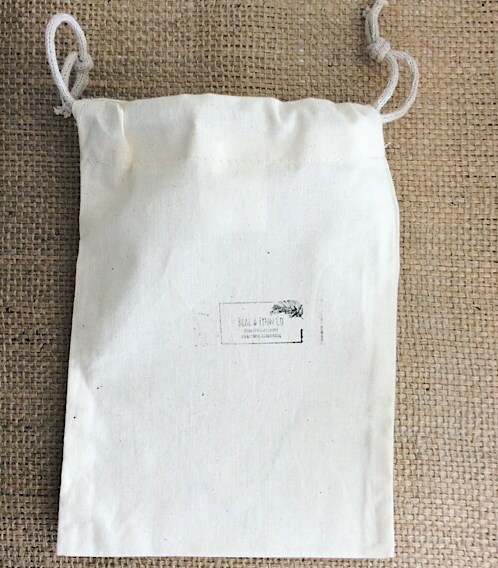 Gift wrapped in a neutral calico bag.